Units in Whitchurch have been lucky to receive donations from Whitchurch 94 Trust Fund. Prees Guides were given £1000 which is going to be put towards a trip to Our Chalet in the future. The trust have donated to many groups in Prees and Whitchurch – Prees Football and Cricket Clubs, Air Ambulance, Rotary Club, Air cadets, Scouts, Bradbury Centre, care homes and many more. 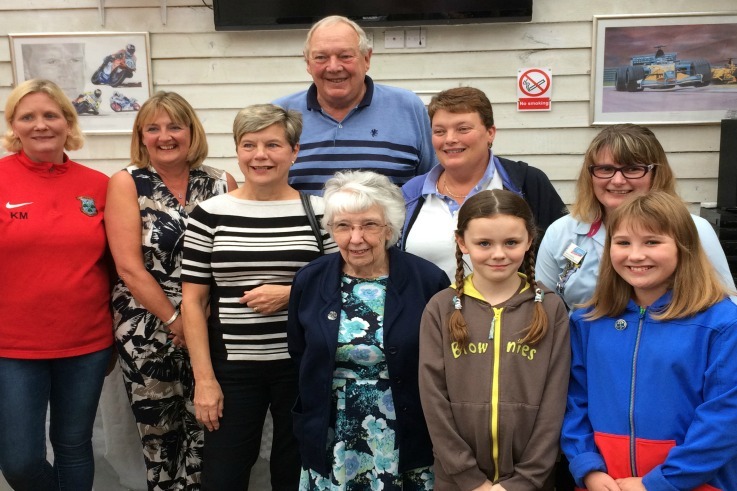 One Elderly Day Centre club are buying new tables, chairs and cups for their club and the WI are buying a Dart Board for the WI Darts team! Whitchurch District was also presented with £1500, and plan to discuss how best to spend this at their next district meeting.